My name is John Morris, I am sixteen, I am preparing for my GCSE's, I spend most my spare time creating stories. Currently I'm struggling to find pacing in my novels and so I have decided to post the first chapters of a few on Booksie and take in response to hopefully push me forward with one idea. A bried synopsis of the books started. The Hitler Plot - Sazine is an exiled time assassin. Running from her agency she transport to a secure location only to find Ruberto, Hitler's grandson who is finishing a hundred year plan began in 1943 by Hitler himself. Now she has to work out how to stop it. When you can control time, it controls you. Dark Weapon - A spaceship crashes in New Orleans and Alex and Dacid are there to secure it. Little do they know this is a precurser for the invasion that will consume them. Alex must find the President and give him Dareous' letter. David needs to find his father. Ola needs to find safety. The President needs to regain control. 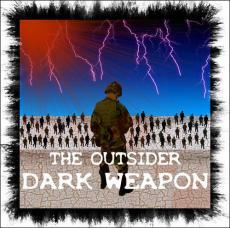 The Dark Weapon must decide its side and lead them to victory. The Outsiders are Coming, Are You Ready? Excepts - A group of individuals who are the best of the best but when they assassinate Goodwin Grey they find out how deep the rabbit hole goes. Excellent comes at a price. 48 Days - What happens when you loss your sister, your grandma, your faith in humanity? A story or biography on my life using my bad experiances - Getting my family split up through social services - Violent father - no clear allies or enemies - lies - decite - deception. Breath. Serenity: The Liyanth Labyrinth - A bit of fun. Based on the tv show firefly and the movie Serenity. They are the same thing but two different names. My third favorite show behind Lost in second and Red Dwarf in first. They aim to misbehave. In This Room - Sarah is given a choice. Ten items lay on a table each resembling a part of her life. All she needs to do is find herself and decide what part of her life is the most important for her or she will pay with her life. Can you escape the room? Infinite - Dante is an immortal who walks through time. He watches the world go by and is controlled by an angel and a demon. Torn between the two he must decide whether we should be allowed to live. When you walk forever what do you see? PLEASE TELL ME WHAT YOU THINK OF WHAT I POST! I REALLY WANT GOOD ADVICE. This page was created in 1.9092 seconds.